The following extract is taken from Flight Centre magazine The Experts, with photos as credited. As you reluctantly emerge from your duvet on a dark and chilly British morning, somewhere in the world, the dawn is gloriously sun-blessed. Let us tempt you out of hibernation with our top pick of the world’s winter sun destinations. in the sun and an opulent side that attracts the jet set. 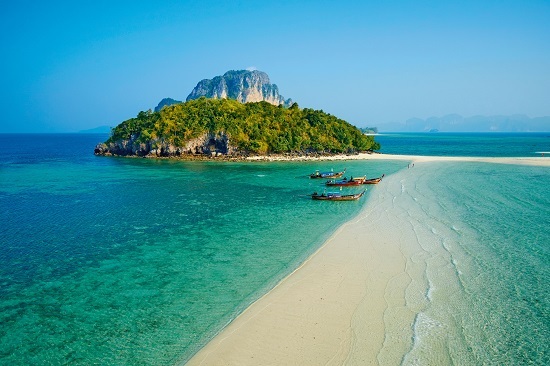 Head to Krabi’s islands to find a beach bum, castaway quality. Visit Krabi’s weekend night market for local food, concerts and bargain fashion buys. Are you a keen diver or snorkeller? After you’ve sunned yourself on the beaches of party spot Cancún and the hip Playa del Carmen, the waters of the Riviera Maya are waiting to wow you. Visit between November and March and explore the immense Mesoamerican Barrier Reef. Nearby is the Arrecifes de Cozumel, an underwater wonder of neon-bright fish and sea turtles. Visit the underwater museum in Cancún to see incredible submerged sculptures by renowned artists. 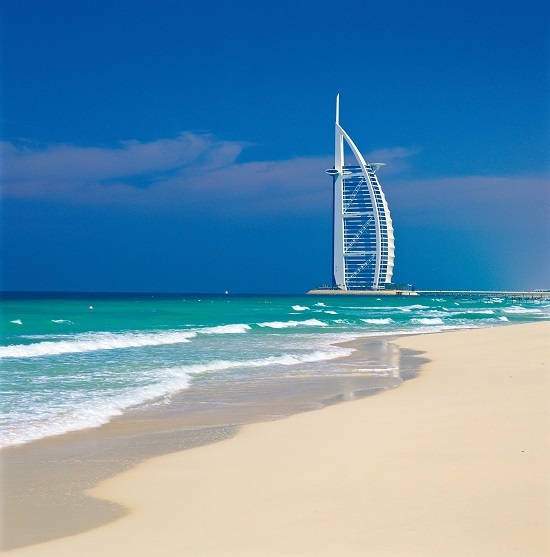 Just a seven-hour flight from the UK, Dubai can guarantee you at least two things: glamour and hot weather. The desert heat becomes bearable in the ‘winter’ (January to March), when the temperature drops refreshingly at night and the daytime makes a post-brunch afternoon on Jumeirah Beach blissful. The Dubai Jazz Festival happens in February, then the ‘world’s richest’ horse-racing day, the Dubai World Cup, is in March. 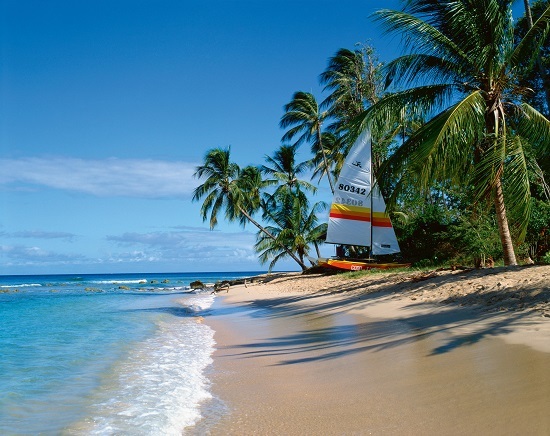 Winter in Barbados promises eight to ten hours of sunshine a day (and temperatures in the high 20s). A favourite of royals and celebrities, this tropical paradise has a terrain of limestone hills that hide plantation estates and spectacular botanical gardens. Head for the well heeled west coast for luxury resorts, the wild and barren east for surfing and diving, and the south for wind surfing and a relaxed vibe. Catch a game of cricket at Kensington Oval, an impressive ground in the island’s capital, Bridgetown. Deep in the south-western Indian Ocean, summer on this island runs from November to April. Find five star hotels and luxury resorts among the palms and paradise beaches. Everything here has been carefully developed to preserve the island’s lush forests, coral reefs, streams and waterfalls. 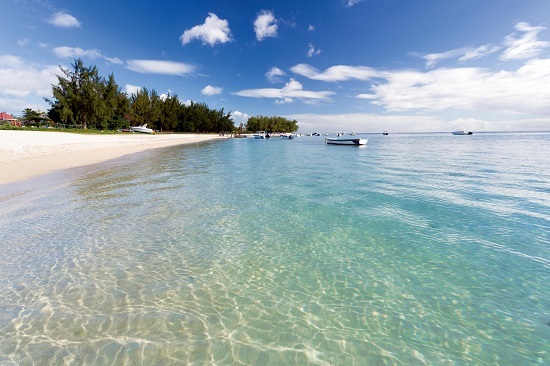 Turtle Bay in the north west is the sunniest region and boasts miles of hideaway beaches. Book the day before and feast on Creole rice, chicken and octopus at Canne à Sucre, a tiny restaurant with a big heart in Flic en Flac. One of the Windward Islands, St Lucia enjoys 28 degrees in December, blissfully tempered by the steady trade winds. Small sandy coves surround the island’s lush canopy of green below the majestic peaks of the Pitons. Flop, drop and let the sweet strains of reggae lull you into a holiday nirvana. Away from the beach, Soufriere boasts hot springs, mineral baths and the Diamond Falls Botanical Gardens. Don’t miss the Gros Islet Friday night Jump Up. Eat BBQ food, drink rum and dance all night long. There are hundreds of islands in Malaysia, but go west in the winter, when blue skies and sunshine are your daily alarm call. For fun and colourful chaos, head to George Town on the busier island of Penang and lap up its world class food, colonial architecture, ancient temples and busy markets. While Langkawi’s 99 islands offer an idyll of clear waters, jungle and near deserted beaches. Sundowners at The Cliff Restaurant & Bar at the end of Pantai Cenang on the largest island, Langkawi. An archipelago of 1,190 islands in the Indian Ocean, the Maldives offer unparalleled luxury and a setting worthy of a fine-art painting. 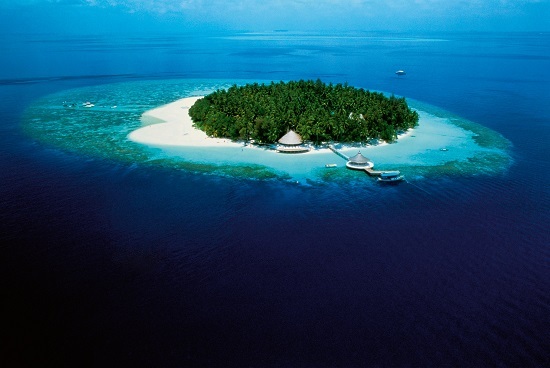 The islands are like nowhere else on earth, each lapped by waters of cyan blue and home to its own private resort. The marine life is astonishing – beneath the clear lagoons lie coral walls, schools of tropical fish, turtles, manta rays and even whale sharks. The best bit? The water is warm enough to go in without a wetsuit. Try your hand at game fishing – most resorts offer fishing trips at dusk. 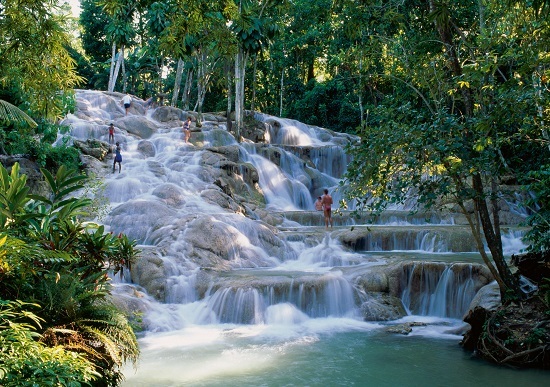 Home of rum and reggae, Jamaica runs on its own time, and its laidback ways and eccentric characters are testament to that. Visit between December and April when it’s at its driest. Away from the shopping hot spot of Ocho Rios and the spectacular seven-mile beach at Negril, visit the crystal-clear waters of Dunn’s River Falls, hike the Blue Mountains at sunrise or visit the Good Hope Estate plantation house. Explore the perfectly preserved Firefly, playwright Noël Coward’s home with sweeping views over Ocho Rios. This tropical jewel on the east of Hispaniola has a climate akin to an endless summer. A mesh of modern Latin flair and colonial charm, capital Santo Domingo is the oldest city of the Americas. Discover medieval palaces, New York-style nightlife and fabulous shopping. 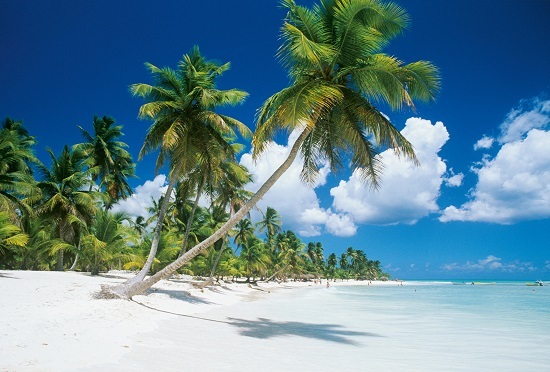 Or bask on the sands of Punta Cana. Its 40 miles of beach, backed by nut-bearing palms, have earned it the title of The Coconut Coast. Try dancing in the traditional merengue style at Club Murcielago, housed in an underground cavern in capital Santo Domingo. Inspired to escape? Check out our latest winter sun holiday deals!